Move over coffee, matcha’s on the rise. From Oslo to New York City, the green stuff is a hit everywhere. And for valid reasons. There are many health benefits to matcha. Matcha is rich in antioxidants which help maintain younger-looking skin and supports our immune system. It also helps boost metabolism. So, if you’re in the search for something to enhance your weight loss, matcha’s got you covered.The bottom line is matcha is probably healthier than opting for alternative options. 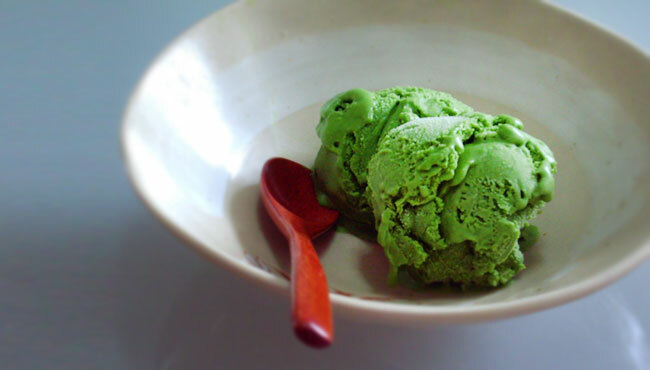 In Japan, matcha is enjoyed in various ways, such as drinks sweets and food. It’s everywhere in Tokyo, but sometimes it can be hard to navigate where the best places to hit up are. Here are 3 outstanding places in Tokyo that are definitely worth a try. I can’t count how many times I’ve ordered a matcha ice cream, only to be disappointed by how diluted it tasted. This is an issue that you’ll never come across at the “Suzukien”. This tea shop located near Asakusa’s sensoji, caters everyone’s matcha ice cream needs. As the store is located right by the touristy area of Asakusa, beware of the long queues, especially during the holidays. Tucked away in an alley in Kagurazaka, this cafe is located in a quiet spot in the bustling city, The first thing you’ll notice is the dark wooden exterior which is reminiscent of the traditional architecture in Kyoto. With a wide selection of matcha flavored sweets and drinks, such as matcha latte and frozen matcha s’mores, there’s a matcha treat for everyone here. My personal favorite, and perhaps everyone’s favorite is the matcha fondue. Yes, that’s right, a “matcha fondue”!! If cheese fondue and chocolate fondue are a thing, why can’t matcha fondue be a thing? The fondue composed of matcha and white chocolate gives the perfect mixture of a rich and sweet taste, making it a winning formula! If you’re stopping by on a breezy day, make sure to grab a seat on their deck and admire the view. I don’t think I can make a list of famous matcha places without mentioning Tsujiri. Out of all the matcha brands in Japan, Tsujiri just may be the most famous one out there. Known for collaborating with many mass food manufacturers, such as Mister Donut, there’s a reason why Tsujiri is popular in demand. Tracing back to the late Edo period, Tsujiri was first established in Uji, Kyoto, in other words, the “matcha mecca”. As the pioneer of the modern tea industry in Japan, Riemon Tsuji, the founder of Tsujiri came up with innovative methods to elevate the flavor of his tea. For over 155 years, Tsujiri has won over the hearts of the Japanese with their matcha. Even now, the shops of Tsujiri are still infused with the spirit of Riemon Tsuji. To this day, they select their tea leaves from Uji and produce matcha using their traditional methods. Over the years, Tsujiri has managed to continuously innovate and sustain their tradition. And the best part? You don’t need to make a trip down to Kyoto to appreciate their high-quality matcha. They have several shops in Tokyo! Although Tsujiri has a couple shops opened up in Tokyo, I recommend stopping by their branch in Ginza. Why? Because you can get your hands on an extra rich soft serve which is currently exclusively sold there. The extra rich serve apparently has twice the amount of matcha than a regular soft serve sold at Tsujiri’s branches. If you’re not one for soft serves, don’t fret, the shop has a diverse range of matcha products. Perfect for Winter in Japan! What is Warm Alchohol “Atsu-kan”?